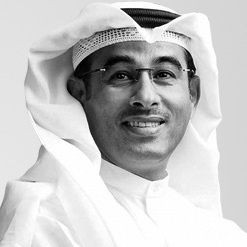 The Emirati has served as Emaar chairman since 1997 and presides over a company with a presence in more than 16 countries. The company develops high end shopping malls, hospitality projects and property. One of its showpiece projects is “the world’s most visited lifestyle destination” in Dubai, comprising the Dubai Mall, which includes the recently opened VR Park and the Dubai Aquarium and Underwater Zoo and has had global impact on the shopping mall entertainment model. The mall overlooks The Dubai Fountain, the world’s tallest performing fountain. Emaar is also the developer of the world’s tallest building, Burj Khalifa. Emaar also runs the Dubai Opera.